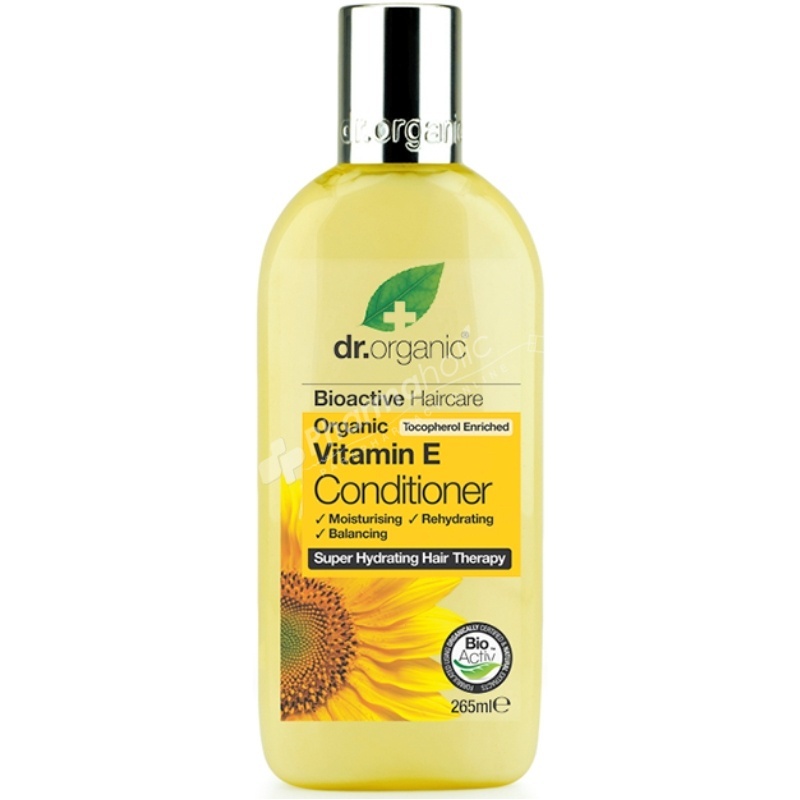 Dr.Organic Organic Vitamin E Conditioner is suitable for all hair types formulated with Organic Vitamin E, Aloe Vera, Shea butter, Hydrolyzed milk protein, Panthenol and Sunflower oil. It restores natural condition by penetrating and coating the hair’s external fibres and cellular keratin matrix, promoting rehydration and restoring the hair into beautiful and manageable condition. A deeply soothing and effective conditioner formulated to lock in moisture, which restores natural condition by penetrating and coating the hair’s external fibres and cellular keratin matrix, promoting rehydration and restoring the hair into beautiful and manageable condition. Aloe barbadensis leaf juice, Aqua, Polyglyceryl-3 methylglucose distearate, Glycerin, Cetearylalcohol, Tocopherol/helianthus annuus seed oil, Butyrospermum parkii butter, Glyceryl caprylate, Panthenol, Guar hydroxypropyltrimonium chloride, Aroma, benzoate, Potassium sorbate, Sodiumphytate, Limonene, Hydroxycitronellal, Linalool.